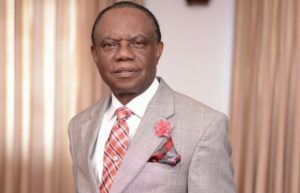 The National President of Pentecostal Fellowship of Nigeria (PFN), Rev. Felix Omobude has congratulated President Muhammadu Buhari and other candidates, who emerged victorious in the just-concluded elections. The PFN, in a press statement signed by Omobude according to Guardian, urged the newly elected government functionaries to be mindful of the fact that power comes from God. He also appealed to all political leaders to work at healing the divides across ethnic, religious and other lines. “Without prejudice to the rights of those who have expressed the desire to approach the court for redress over their loss at the elections, the PFN appeals to all politicians to place Nigeria above their personal ambition,” the press statement added. The PFN also congratulated all Nigerians for 20 years of unbroken democratic rule and the success of the last electoral process. “We are saddened at the incidents of violence and loss of lives recorded during the election. We condemn the desperation on the part of some politicians, who continue to orchestrate violence and other acts inimical to democratic process,” he said. This entry was posted in Christianity, News, Politics and tagged Felix Omobude, PFN. Bookmark the permalink.